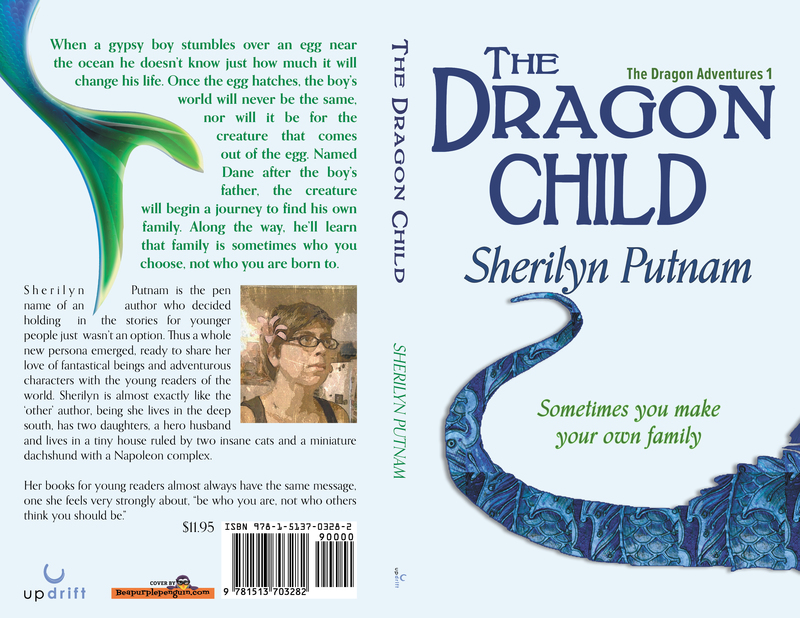 My good friend Sherilyn wrote a mid-grade fiction piece called The Dragon Child! And I’m excited to be able to do her cover reveal today! I’ve had the pleasure of reading this book, and I can tell you your children will love this fantasy/adventure story! When a gypsy boy stumbles over an egg near the ocean he doesn’t know just how much it will change his life. Once the egg hatches, the boy’s world will never be the same, nor will it be for the creature that comes out of the egg. Named Dane after the boy’s father, the creature will begin a journey to find his own family. Along the way, he’ll learn that family is sometimes who you choose, not who you are born to. Sherilyn Putnam is the pen name of an author who decided holding in the stories for younger people just wasn’t an option. Thus a whole new persona emerged, ready to share her love of fantastical beings and adventurous characters with the young readers of the world. Sherilyn is almost exactly like the ‘other’ author, being she lives in the deep south, has two daughters, a hero husband and lives in a tiny house ruled by two insane cats and a miniature dachshund with a Napoleon complex.